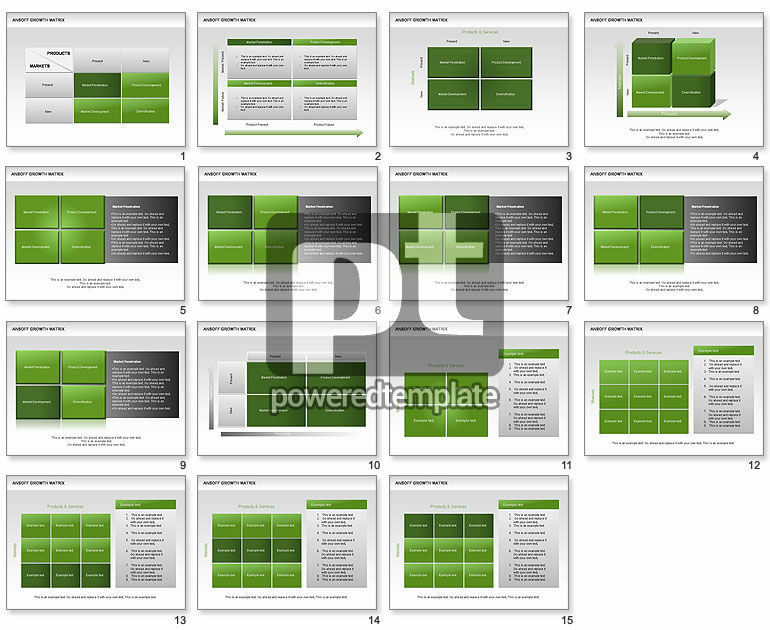 These presentation slides 25225 are complete compatible with Google Slides. Simple download PPTX and open the template in Google Slides. These tables based on Ansoff Growth Matrix would help a lot in product and market analysis, marketing analysis, in a product development plan and business plans, etc.